Education: B.A. Economics, Westfield State College,1982. 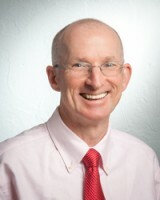 Experience: Dan is President and founder of O’Connor & Co. Insurance Agency, Inc. which has been in business since 1990. Prior to establishing O’Connor and Co., Dan worked at another Massachusetts insurance agency in marketing and was a New England District Marketing Manager for a national insurance carrier. Personal: In his spare time, Dan enjoys the challenge and sport of Ultra Cycling. In 2011, Dan and three friends competed in The Race Across America (RAAM) finishing first in their division. They completed the 3,000 mile endurance event in 7 Days 3 Hours and 45 minutes. Education: BA in Psychology, Westfield State University, 1982. Experience: Karen is Co-Founder of O’Connor & Co. Insurance Agency, Inc and has worked in the insurance industry since 1990. 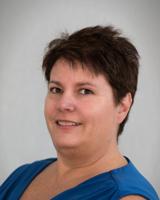 Prior to this, Karen worked in Boston for an advertising firm and also has experience in the real estate and appraisal field. Personal: Karen was born and raised in Winchester, MA. Karen lives locally with her family. Personal: Suzan lives with her husband Mark in Charlton and has been living in Charlton for over 10 years now. She was born and raised in Thompson, Connecticut graduating from Tourtellotte Memorial High School in 1980. Experience: Kristie started her career in the insurance industry in 1994. 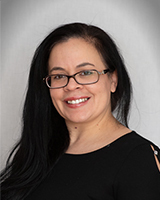 Her experience has ranged from being a customer service representative to her present position as a P&C representative at O’Connor & Co Insurance Agency Inc., where she has been part of our team since 2010. Kristie is also currently involved with our marketing team. Personal: Kristie enjoys spending time with family and friends. She enjoys reading for leisure, cooking, gardening and travel, especially to the ocean. Education: B.A Economics, Worcester State College, 2002. Pursuing Juris Doctor Degree at Massachusetts School of Law in Andover. Experience: Barbara, a native from Poland, began her insurance career in 2000. She is a licensed insurance agent with a completed CISR designation and is able to assist with both Personal and Commercial lines policies on any level. Barbara fluently speaks Polish and she is a notary public. Barbara is involved in her Polish heritage and local community through the Dudley Town Hall, the Dudley Women’s Club and the Webster Dudley Business Alliance. 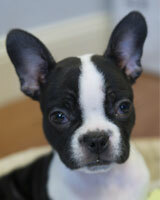 Personal: Barbara lives in Dudley with her family. She was born in Krakow, Poland. Some of Barbara’s interests include law, literature and classical ballet. Education: Bartlett High School Class of 1987. Nichols College Bachelors of Science Business Admin ’91. Nichols College MBA ’02. 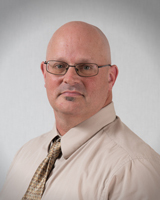 Experience: 21+ years Commerce/MAPFRE Insurance extensive experience is Casualty, Physical Damage, Commercial and Complex Claims. Personal: Husband and father of two. Baseball Coach and member of both Webster Little League and Dudley Little League Board of Directors. 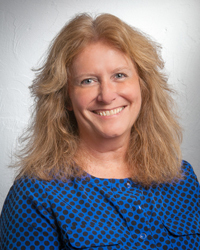 Experience: Teresa has over thirty five years of experience working in the insurance field. 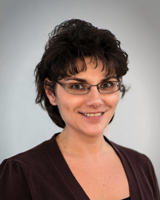 Personal: Teresa is a lifelong resident of Webster. Education: MBA Nichols College 2014, BA Psychology Becker College 2002. Experience: Jackie has been in the insurance industry since 1999. She has worked on both the company and agency end. Personal: Jackie enjoys spending time with her family, friends and her dog tico. 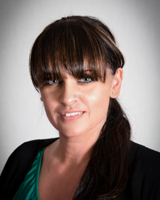 Experience: Rosa has been in the insurance industry for 24 years. 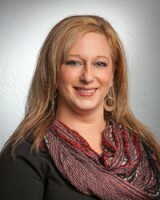 She joined the O’Connor & Company Insurance Agency team in July 2011. Personal: Rosa lives in Dudley with her husband and two children. She enjoys spending time with family and friends and can often be found spinning at local fitness studio. Experience: Previous to the Agency, I worked for MAPFRE Insurance as a Service Center Sales Rep Sr. for 3.5 years where I was responsible for writing new auto and home Insurance policies. I have worked in the Customer Service field for over 15 years. Personal: I have been living in Southbridge MA since August 1984. I own my own home. I have 2 small dogs. I enjoy spending time with family and friends. I enjoy the Beach in the summer and weekend getaways. Education: B.S. Business and Information Technology, Framingham State University, Anticipated Fall 2018. 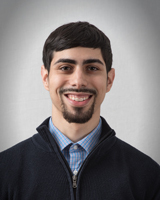 Experience: Jose joined O’Connor & Company Insurance Agency in the summer of 2017. Prior to joining the company, he worked for Geek Squad as a Consultation Agent where he provided technical support and solutions for clients. Jose also worked for Harrington Hospital as a Dietary Aid before moving into a Supervisor role. His focus was to provide quality service to patients and employees while maintaining the highest sanitary conditions in accordance with policies and procedures. Jose is eager to learn new things and enjoys taking on new challenges. Personal: In his spare time, Jose likes to spend time with family, friends, and his girlfriend Lindsay. He is a TV show and movie enthusiast. You can also find him playing the game of golf, or going on adventures and getaways with his girlfriend. Experience: Mark has worked in the insurance industry for 30 years supporting his clients’ insurance and financial service needs. 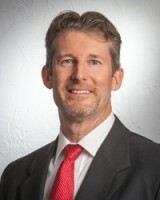 He has been associated with O’Connor and Co Insurance Agency since 2005. Personal: Mark was born and raised locally in Webster, MA where he and his wife Lisa still reside and have raised their four daughters. Education: B.A. Economics, Oswego State University,1983. 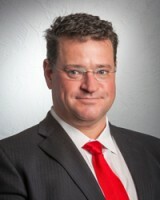 Chartered Life Underwriter (CLU), Chartered Financial Consultant (ChFC), from American College 1995. Experience: Jim started in the financial services industry in 1986. 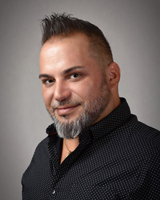 He has worked closely with families and small businesses ever since, providing guidance and service with insurance products and financial plans. Personal: Jim was born and raised in upstate New York. He moved to MA in 1985 and lives with his wife, and two children in Northbridge, MA. Experience: David began his career in the graphic arts industry in 1980 working on a printing press and in the 1990’s, he worked with computer-generated technologies. 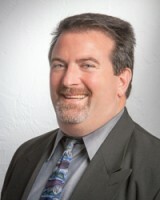 David has worked with O’Connor & Co. Insurance Agency Inc. since 2008. His main responsibilities are marketing and web management. Personal: David lives in Central Massachusetts with his wife, their teenage son, Golden Retriever and cat. When not sitting behind a computer, David can often be found riding his bike throughout the hills of Worcester County. Jack, Vice President of Cuteness. Experience: Jack is O’Connors latest employee, please stop by and say hi to him. Personal: Jack loves to play all day long.